I have great news which I’m finally allowed to blog about. Some of you may have observed that in the last week or so my mood has improved. But then, maybe this isn’t so noticeable. I’m not sure. I am delighted to report that we have a ticket out of the Franchise. Yay! And before I say where to, I must give a warning to Kit and Denise who had somewhat negative things to say about this place. Yes, that’s right. We’re moving to Aberdeen! Ben has been offered a job at the University of Aberdeen and has accepted. We move in October. We spent our last few days in the UK in Aberdeen, exploring the city and trying to decide whether we could live there. After the first day there I was not so sure. I had spent the day walking about and was not sure that I liked it. This was partly because I had wandered into a strange part of town which was not all that appealing and then later walked along an incredibly blustery and unwelcoming esplanade by the sea. The following day we walked through the centre of the city and it started to grow on me. It is not as quaint and characterful as York, but it does have some unusual and attractive architecture which included some Gothic Revival stuff – Marischal College – as well as some more fairy-tale-looking structures like the Town House. Then on our last day we visited the Cairngorms and I was sold. The thought of living so close to the spectacular Cairngorms was enough to convince me that I could live there. I know that people will think I’m crazy to want to swap Auckland for Aberdeen, especially when Auckland has just come third in the latest Mercer quality of life survey. But my reasoning is very simple and worth explaining. I don’t think Auckland offers good quality of life. Certainly not compared to York where our quality of life was much better. Why is that and what does quality of life mean to me? These are the things that I think are important for good quality of life (in no particular order): housing affordability, housing quality, commute times, walkability, cyclability, climate, public transport, natural beauty, culture and history and cost of living. On housing affordability, the 10th Annual Demographia International Housing Affordability Survey: 2014, ranks Auckland the 7th most unaffordable city among 85 major markets. Housing quality in Auckland is also poor with the leaky homes crisis, a general absence of adequate insulation and very few homes having central heating and double glazing. Commute times in Auckland are long. The central city is too expensive for most people to buy a home and the urban sprawl of the place combined with the lack of public transport and cycleways means that commute times are long and traffic is bad. Maybe not compared to somewhere like London – where I know people can spend two hours each way commuting to work – but compared to York, where Ben’s commute time was only 10 minutes by bicycle, Auckland performs poorly. Ben’s Auckland commute time is close to an hour each way. Auckland is not walkable or cyclable. It’s a car-city. Indeed, the central city has been raped by a spaghetti mess of motorways cutting right through its heart. I’ve never lived in a city with this before – although now that I think about it, Brisbane had something of this too. There is some natural beauty in Auckland. I will give it this much. The volcanoes and the bush and the many beaches do offer some nice scenery. This is very subjective though and I’m more of a mountains and lakes person than a sand and sea person. There is some culture here and some history but not in soulless suburbia where most people live. My day-to-day sights are faceless and I find them depressing. Climate is very subjective too. Many people would choose heat and humidity over crisp and cold but I am not one of them. I like the grey British days, the not having to smother myself with sunscreen and staple sunglasses to my face, the opportunity to exercise at any time of day without sweating and the absence of insects. I am a cold climate creature. And finally, the cost of living. 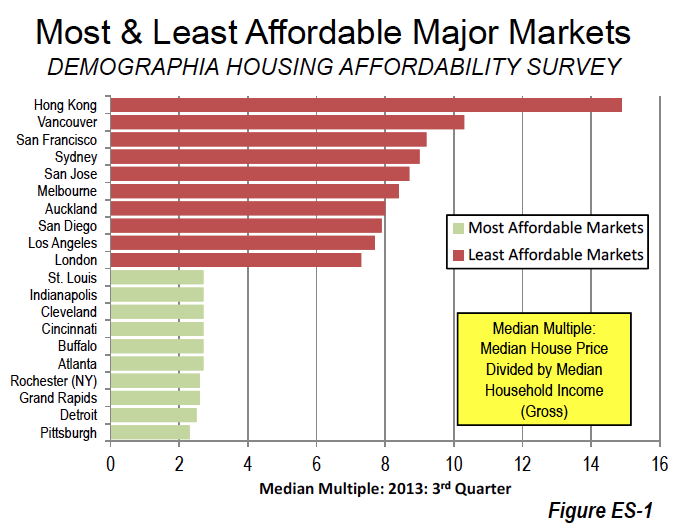 I have already mentioned housing affordability and Auckland scores poorly on this one. The cost of groceries is also very high here. I would say it costs about twice as much to feed a family of four here as it did in York. So, how does Aberdeen compare on my quality of life scale? It’s hard to say when I haven’t lived there. But when I visited, I found the city to be compact, walkable and cyclable, had a climate I liked, history going back thousands of years (humans have been in Aberdeen since the Stone Age), natural beauty in the Cairngorms, better and more affordable housing than Auckland, a lower cost of living, shorter commute times and perhaps best of all, the people living there have a fantastic accent. They also get to see the Northern Lights from time to time – a sight I would love to see – and very importantly, the city is not sitting on top of an active volcano. Posted in Auckland, Travel and tagged Aberdeen, Auckland, cost of living, housing affordability, moving, quality of life, relocating, Scotland, UK. Bookmark the permalink. Thanks, Susie! I am very excited and hoping to have lots of visitors so you’re welcome anytime. No surprises here. However, you are right about liveability being in the eyes of the beholder. I find that I love inner city Brisbane as a place to live. It is close to restaurants, the river, lovely river walks, and of course the performing arts complex and south bank. But I do miss the rugged beauty of mountains. I will visit you for sure. Great! We would love to have you come and visit. First attempt at commenting by email! But totally felt I had to say CONGRATULATIONS and I feel very excited for you! I love being British. From the sounds of things, Aberdeen will be physically (roads, climate, near countryside) so much closer to what you want and the photos you posted were really beautiful. Well done to Ben on getting his post, too. Thanks, Denise. Aberdeen is much more me than Auckland is and like you, I love Britain. Congratualtions. I’m very pleased for you. I spent some time in Scotland years ago. When the granite dries and the sun shines a bit, then it’s quite cheery and better than the glare of concrete. Plus there is all the history, culture and landscape. I’m sure that you will love it. One small caution. In winter, you will be more comfortable if you think Norwegian. Yes, I have also wondered about all the grey granite and whether that gets tiresome after a while. My conclusion is that I’m just going to make sure to wear very colourful clothing to counter the grey. Terrific! Thanks, Bronnie. Hope to see you in Scotland! Thanks, Sherri. That chart is interesting, especially since London appears to be more affordable than Auckland. I find that hard to believe actually. I think there are lots of people who work in London but live just outside and so this is why their commute times are so long. I have met a few of people who have moved here from London for this reason. Oh, and I forgot to say that an living above an active volcano is enough reason on its own for me to want to leave too. Seems like a stupid place to build a city in my view. Congratulations and welcome back to Europe. Thanks, Victor. I love Europe and love living there. New Zealand and Australia are so isolated and I’ve always had this strong feeling of being a part of the Earth when I’ve lived in Europe. It’s a nice feeling. That’s awesome Rachel! I got all excited when I read your post ^.^ Congratulations on finding a way back! Aha, congratulations, and your comment about the northern lights makes more sense now! Your husband might bump into a climate change ‘skeptic’ at Aberdeen Uni by the name of Euan Mearns. He keeps a blog called Energy Matters, which can actually be quite interesting, but sadly he thinks burning hydrocarbons does the World no harm at all. Anyway, a warm welcome to you, and I would probably agree that Aberdeen is better than Auckland! Thanks, Kit. New Zealand has sand flies, especially the west coast of the South Island so I can deal with that. And my husband is currently at the University of Auckland which is also home for Chris de Freitas. I met your sand flies when I was over there. They’re a very different pain in the backside compared to our wee midge, but they are part-and-parcel of Scotland, and definitely not so bad on the east coast since it’s drier and windier. Thanks! I will. I love Edinburgh and it won’t be far away. Bushy beaver or prepubescent pube?